Attention Dryden sports fans! The School is Inducting alumni into our Athletic Hall of Fame! Visit http://www.dcsd-ny.schoolloop.com/athletichalloffame … to nominate a athlete! Through generous donations from the Dryden Sports Boosters and Specialty Trophy in Dryden, the Dryden Athletic Hall of Fame has been officially remodeled. 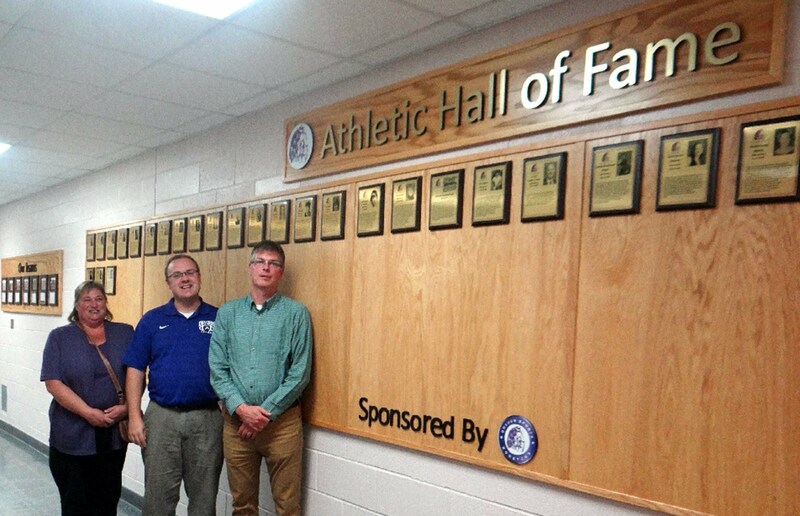 Vicki Best of Specialty Trophy, Athletic Director Bryan Ford, and Dryden Sports Boosters President Jerry Goodenough are pictured above with the revamped Hall of Fame.